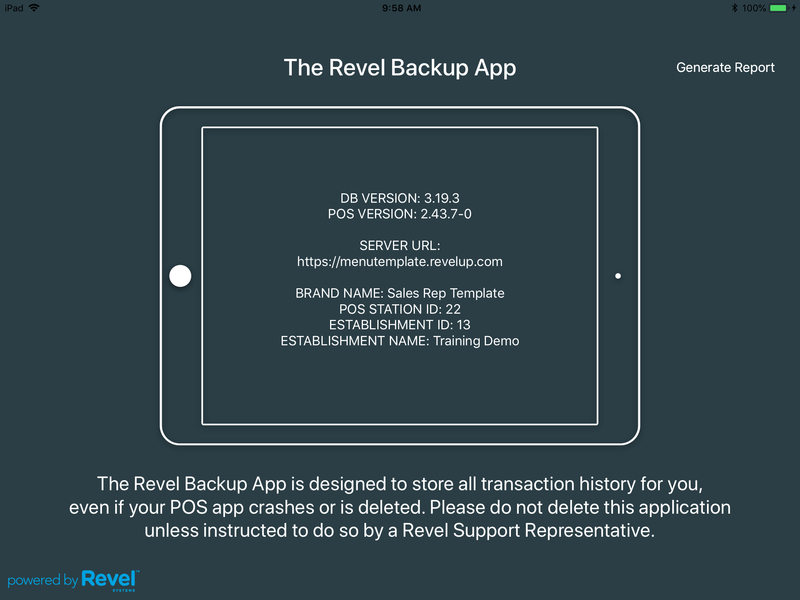 The Revel Backup app protects all your Revel Point of Sale data in case of user error or accidental deletion, keeping track of data recorded both online and offline. If someone deletes the iPad Point of Sale app before transaction sync with the Management Console, the Backup app will store all data so that it can be restored when the iPad Point of Sale is reinstalled. 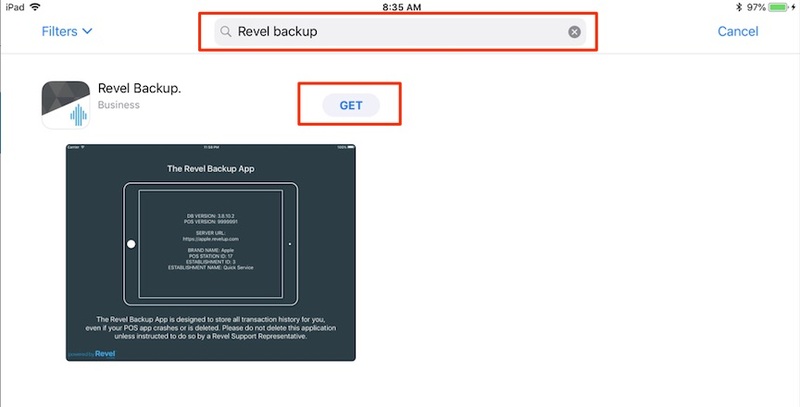 NOTE: The Revel Backup App should already be installed when you first receive your iPads. You should NOT delete the app unless instructed to do so by Revel Support. Note: You will need to be logged in to your iPad with an Apple ID; if you do not have one, please follow the instructions HERE. Once the app is installed, it will run automatically in the background, backing up all of your sales data.